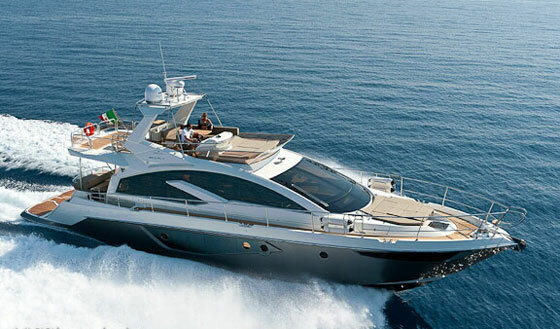 With Italian design sense, this 56-footer flaunts signature styling and IPS propulsion. 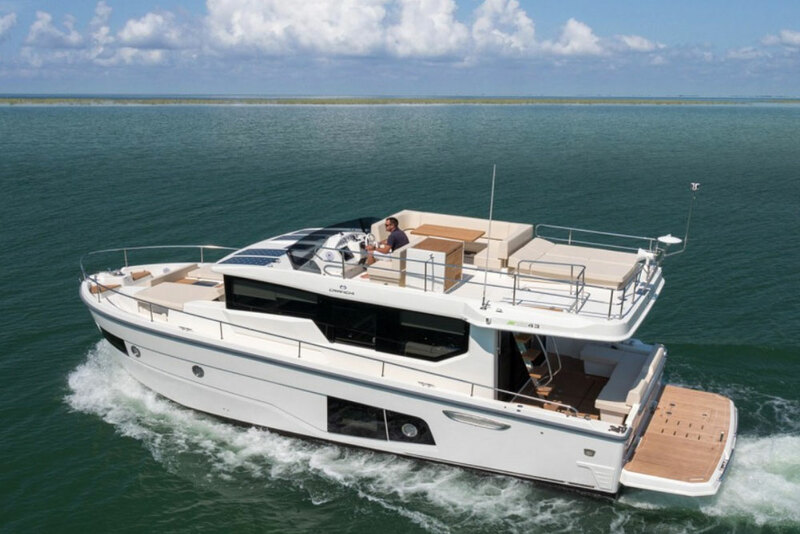 It is the smallest model in the Cranchi Yacht Class series, yet the Fifty 6 Soft Top lays claim to something its 64- and 66-foot siblings don’t have: Volvo Penta IPS propulsion. 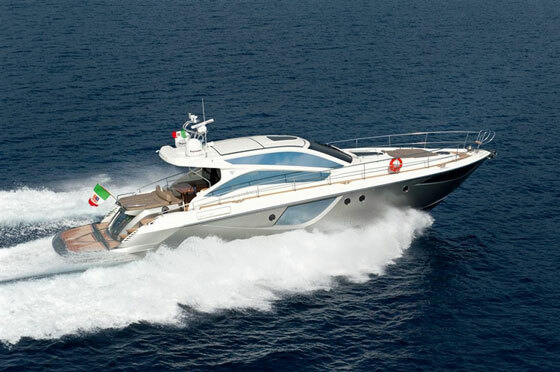 A reverse sheer and long curves in the superstructure styling give the Cranchi Fifty 6 a rakish look. 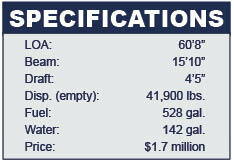 The deck plan shows the centerline helm station with twin bucket seats -- and lots of lounging areas. 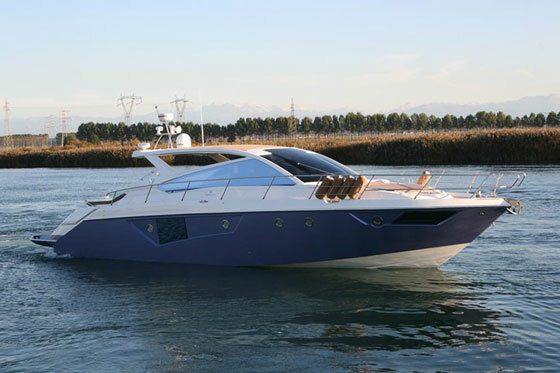 According to Cranchi, the 56 will produce an impressive top speed of 33 knots and cruise at 27 knots when powered by the larger engines. 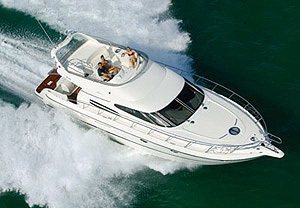 Like any IPS-powered boat, this Cranchi boasts excellent mileage (about 30 percent more fuel efficiency than a similar-sized boat powered by conventional inboards), brisk acceleration, a quiet ride, and easy maneuvering thanks to the joystick installed at the helm. 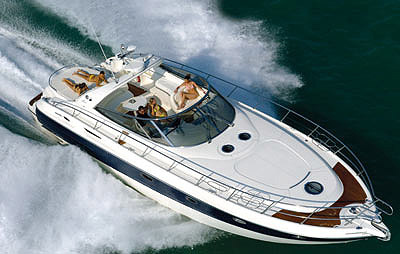 The helm is interesting too, as it’s set on centerline and features two slick bucket seats. 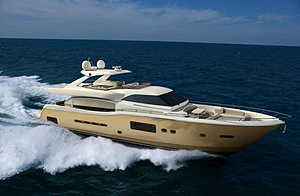 Although reportedly a true driver’s boat, the Cranchi is also set up for serious cruising, with three cabins belowdecks and a wide-open saloon and galley on the main deck, where windows and multiple sunroofs draw plenty of salt air and ocean breezes into the area. 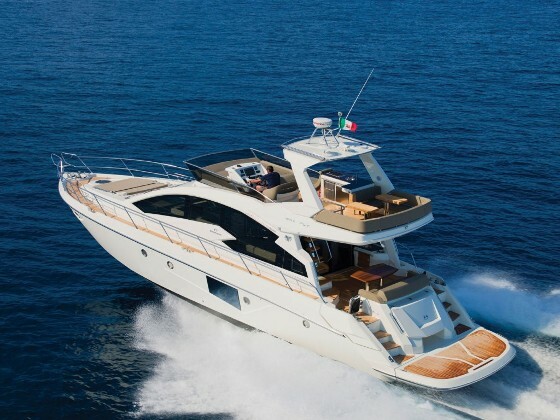 Like the other boats in the Yacht Class series, the Fifty 6 is offered without a separate options list: It comes fully fitted out for luxury cruising, ready to leave the harbor.